Ashley Smith’s vivid account of her plight to save herself from alleged courthouse killer Brian Nichols is a remarkable story. In 2005, Smith walked away from the hands of Nichols by changing his heart through God. If God could turn her life around and bring her out of the depths of depression and drug addiction, she was sure it could change Nichols as well as others. Her novel-turned-movie, CAPTIVE (previously published as UNLIKELY ANGEL: THE UNTOLD STORY OF THE ATLANTA HOSTAGE HERO), is a hopeful story of healing that should not be left to dust on shelves, and her upcoming film adaptation starring Kate Mara (HOUSE OF CARDS) and David Oyelowo (SELMA) is no different. 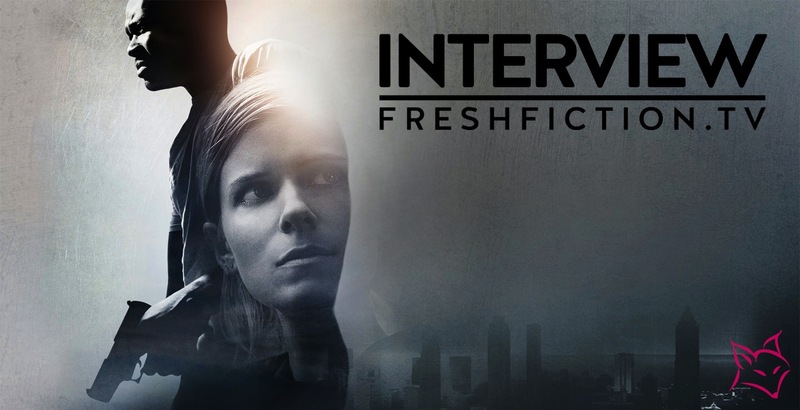 Fresh Fiction had the opportunity to sit down with Smith to discuss her gripping tale of redemption, Hollywood’s approach to faith-based films, Mara’s portrayal of her, and how her story has touched many. UNLIKELY ANGEL / CAPTIVE author Ashley Smith. One of the first things I took notice of when I first heard about this story was that it was being produced by Paramount, which many would consider to be a secular production studio. Was there anything about the film adaptation process that surprised or shocked you? I think it’s safe to say that faith-based films are not as widely regarded as mainstream cinema, unless it takes a more subtle approach. Do you feel like Paramount did that with your story? Obviously you went through a change when you experienced the true story, but did you notice any kind of change in yourself when you put your story on paper? Do you think that it takes something as drastic as what happened in your life for people to have a change of heart? Were you on the film’s set at all? Did you notice any kind of spiritual change amongst the cast and crew? Kate Mara as Ashley Smith and David Oyelowo as Brian Nichols in CAPTIVE. Photo courtesy of Paramount Pictures. What about your talks with Kate Mara on portraying you? Smith: “Kate came to my family’s house and met with us for several hours. We had some phenomenal conversations about family, who we are and where we come from. She really is sweet and almost like a southern girl herself, but she’s straight from New York all the way. Did you hit any kind of narrative struggles when watching the film? Do you have any other favorite film adaptations? Oyelowo and Mara in CAPTIVE. Photo courtesy of Paramount Pictures. It’s funny that you bring up that particular film, because I noticed a lot of parallels between CAPTIVE and FLIGHT. I got a similar vibe from CAPTIVE because its faith-based aspect is very subtle and not over the head. If you could watch a bio pic on someone’s life, living or dead, while sitting next to that person, who would it be? UNLIKELY ANGEL (CAPTIVE) is available to purchase today at book stores. CAPTIVE will hit theaters on September 18.